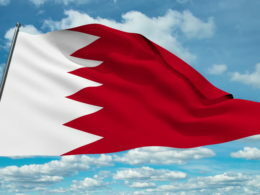 MANAMA: The Kingdom of Bahrain is a tiny nation with a big history. This is a country that was once ruled by a 12-year-old and a place where, in antiquity, the social elite spoke Greek and practiced Olympian sports. 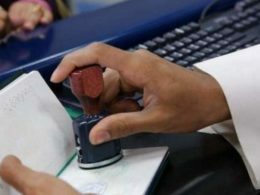 Bahrain was where traders used to come from far and wide in search of the world’s finest pearls, however, despite this rich and fascinating history, Bahrain has become something of a touristic backwater in recent times. 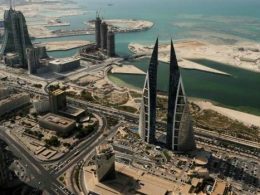 Most travelers only pass through for business or find themselves here in transit, but what can you do in a day in Bahrain? Here is how to make the most of 24 hours in the Middle East’s smallest country. The best way to explore this eminently drivable little island is by car, so start off by hiring one at the airport. 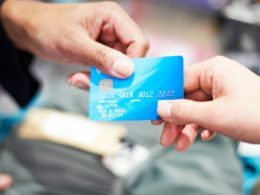 Not only will this allow you to pack in so much more, but taxis are not cheap and public transport is not reliable. From the airport, your first stop is a mere 10-minute drive. 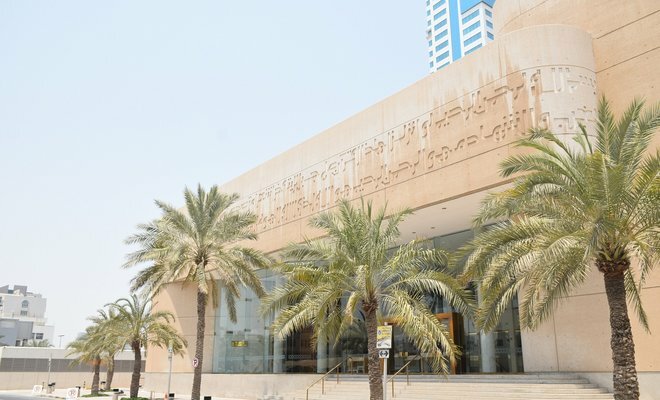 Bahrain’s most famous cultural center is the Beit Al-Qur’an, or the “House of the Qur’an,” which holds the finest collection of Qur’anic manuscripts on public display anywhere in the Arabian Peninsula. Housed in an uber-modern building that integrates classical Islamic design, the museum is split into three sections, the most impressive of which has to be the Makka Hall, where Qur’an segments on parchment and animal skins date all the way back to the time of the prophet. There are also beautifully-illuminated, unusual Qur’ans from across the globe in the collection. 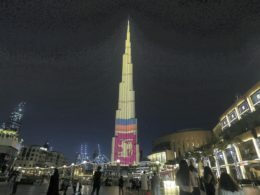 However, nothing quite tops the grain of rice onto which verses of the Qur’an have been inscribed. All that culture is going to leave you hungry. Fortunately, you only need to venture a few streets west to find Chtaura inside Moda Mall. Chtaura’s motto is “when you’re here, you’re home and if you love simple Middle Eastern food in a cool, quirky space than you will feel very much at home at Chtaura. Order the delicious foul and some zaatar bread — baked in a huge clay oven — and wash it all down with a glass of milky karak tea. Start off in the southwest of Manama at a place many believe is Bahrain’s oldest Islamic archaeological site, the Khamis Mosque. Sitting on Sheikh Salman Highway, the mosque is easily spotted due to its twin minarets, which peer over the walled enclosure. 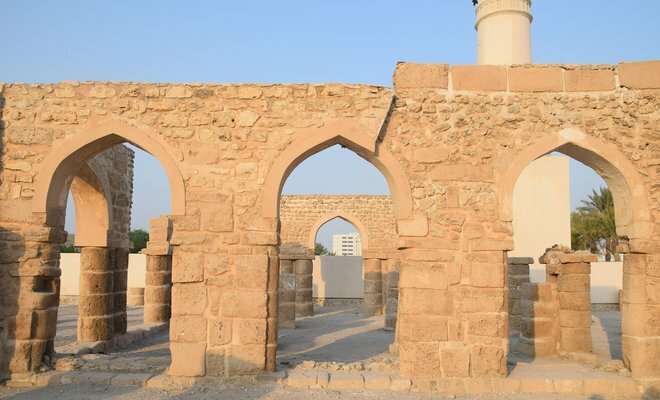 The Khamis Mosque’s foundations are believed to date as far back as 692 AD — Islam came to Bahrain in 628 AD — although hard archaeological evidence to support this is yet to surface. The impressive ruins you will visit include the remnants of a prayer hall and the two minarets — all of these structures date from much later periods. Be sure to climb one of them for a great view of the site. 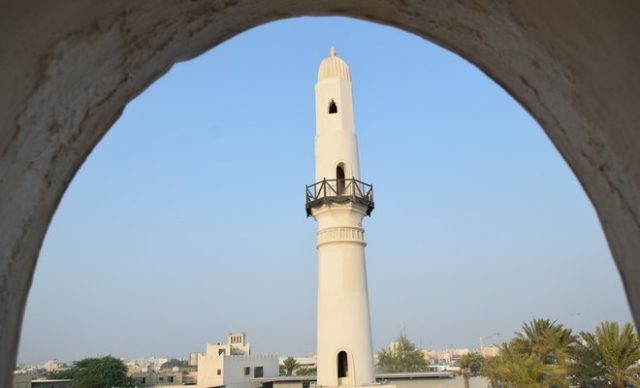 Recently renovated, both minarets were built during the Uyunid and Usfurid dynasties, who ruled Bahrain between the 11th and 14th centuries. From the classical, you will jump to the more traditionally Bahraini as you make your way south to the Riffa region. Here, climb the impressive Riffa Fort, which is strategically positioned on a hillock. From there, you can overlook the Hunayniyah Valley and imagine what it must have felt like to stand there knowing what lay in front of you was yours. Riffa Fort was once the seat of the country’s rulers. Built after the 17th century in a wonderfully-harmonious style, the sand-colored walls of this excellent Bahraini citadel appear to have risen from the very desert that once surrounded it. With the day’s oppressive heat behind you, it is time to venture out to the desert in search of a truly mystical experience. Taking the King Hamad Highway south, look for directions to the “Tree of Life.” There is no proper road leading to this enigmatic monument, such is the remoteness of its location. But you will find it and when you do, you will stand in awe wondering how this miracle of nature has survived more than 400 years in the harshest of deserts, where temperatures regularly exceed 110 degrees fahrenheit, with no obvious water source. 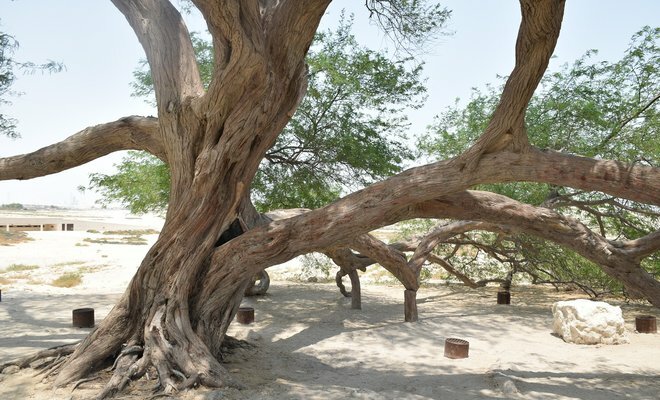 Do not be sad if the 32-meter-high lush green mystery leaves you baffled — some of Bahrain’s greatest minds are still scratching their heads too. Finally, as you head back to the airport you will pass the only place one should end an evening in Bahrain — the majestic Al-Fateh Grand Mosque. Make sure you arrive before sunset, so you can close your eyes and listen as the air begins to fill with the sound of 100 muezzins and then open them so you can witness the impressive lights on Bahrain’s largest mosque coming on, one by one. Then walk inside to admire the world’s largest fiber-glass dome, which is surrounded by beautiful cuboid Kufic calligraphy. Finally, take a walk out into the cool, Andalusian-inspired inner courtyard, ringed by a forest of slim marble pillars. Sit here and rest your weary feet before looking up to admire the starry desert sky above. This truly is the only place to end 24 hours in Bahrain.